Many people request replacement parts for Hampton Bay Ceiling fans. 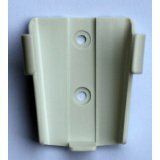 Some replacement parts are generic, see Ceiling fan replacement parts for more information. Others are only available direct from the manufacturer. See our support forums & FAQs for more help with troubleshooting any Hampton Bay Replacement Part, wiring, accessory ot other related issues. 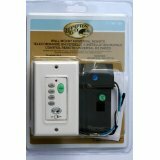 We do have replacement Hampton Bay remote controls available below. To determine which remote will work with your Hampton Bay ceiling fan, try the following. 1> Check the manual that came with your Hampton Bay fan. If you are not able to locate the manual, take a look for the manual on our website or locate it online. See if the remote control that came with the fan is listed in there with a part number. 2> Try checking the remote controls available on our website. 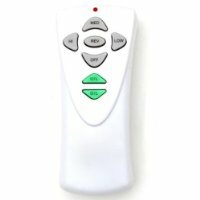 Once you click on a remote, a page will load which displays more information about the remote. It may list what models it is compatible with. 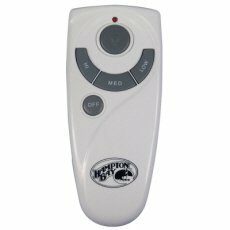 3> You can also try purchasing a universal Hampton Bay remote control for your fan. These controls tend to work with most models of fans. You can contact the manufacturer of the remote to make 100% certain before purchasing. Home Depot has these remotes as well. Often times, they can tell you over the phone which remote will work with your fan. Once you have this information, you can purchase the remote from us if they don't have it. 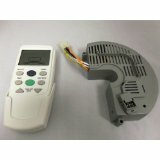 However, we do offer, on this site, some replacement remote control parts for Hampton Bay fans. These include remote/receiver kits, for replacing the remote system in a fan in which this is separate, a wall control for adding fan control in place of a light switch for your Hampton Bay remote controlled ceiling fan, and a Universal Remote, designed to replace the remote control for almost any fan model, as well are your entertainment system. 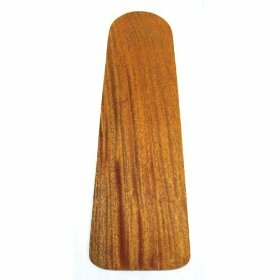 If you have a wrecked ceiling fan blade, or more than one, we can help you to replace those blades on your ceiling fan. 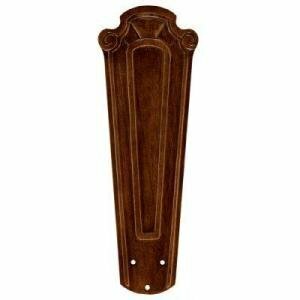 Typically, you'll need to purchase some replacement blades that match the decor and color scheme of your current fan. You don't necessarily have to purchase original blades that are made specifically for that fan. Of course, it is better if possible - but it's not always possible depending upon which fan you have. Just keep two things in mind. First, the replacement blade that you purchase has to be of the same blade span as the other blades. Second, as mentioned - colors need to match. You can buy a universal replacement blade if the colors match up. 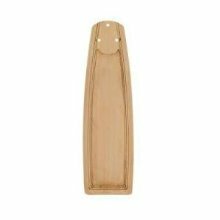 If your ceiling fan has an intricate design or other on the blades, than you'll need the original blades that come with the fan. For this, we recommend to talk to Home Depot as we are limited in the number of blades we are able to get from distributors and pass onto you. Mark replied: Hi Gilles, thank you for your inquiry. We have looked for this part number and have not found anything. 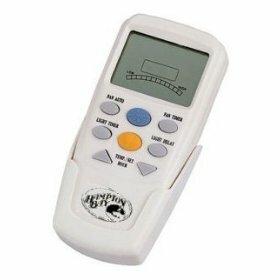 If this is for a remote control replacement, have you considered looking at Hampton Bay universal ceiling fan remote controls? Mark replied: Hi there! Thanks for your contact request regarding model # 24454 of the Hampton Bay lineup. We looked up your fan and we found it is a Southwind ceiling fan. We are not able to source the replacement glass globe. However, the fan is only $75 to replace the entire ceiling fan. Would you consider replacing the entire fan? 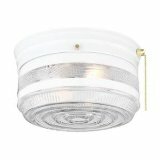 Jose Pla asked: Need a replacement glass bowl for the above ceiling fan model. Please quote sending it to Puerto Rico. Thanks! Jordan replied: Thanks Jose for your question. We do not provide services to Puerto Rico as most of the distributors we ship with do not allow shipments to circulate there. We would also ask other site visitors - please do not contact us for this premise. We cannot influence buying preferences or decisions for these larger organizations and simply need to work within their rules. Thank you! Norman Iverson asked: The fan only goes in reverse. I think, and I have been told that I need a new remote.Can you help me??? Mark replied: Hi Norman I recommend trying a universal replacement Hampton Bay remote. We have a few listed here on this page that you can purchase. Click on the details of each remote to see more information about it. 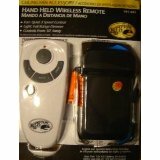 Most universal Hampton Bay remotes will work with most Hampton Bay fans. nancy gagnon asked: I am unable to program the new remote to control fan and lights. Mark replied: Did you check the dip switches? Be sure to read our article on troubleshooting remotes. Jordan replied: Hi there, I tried looking for the MR77a fan or remote and I didn't get any hits for that. But what does come up is the Hampton Bay Altura ceiling fan. Is this the fan you are looking for? Are you only looking for the remote, or the entire fan? Mark replied: Hi Nelson Thanks for your question. We don't have this fan available - not able to source. Did some searching for you and see that Home Depot does sell this fan. The PDF for the fan that comes up on their website shows that blade arms come with the fan. You may have to try Home Depot in order to get the blade arms. If we were able to source them for you we would post them. We do have phone numbers for Home Depot customer support on the website. I have a Hampton Bay ceiling fan, which has a cracked light cover. I require a replacement. I have been on the Hampton Bay website and see that they are discontinued. The model number is 44-wt UPC, 082393467500. Where can I find a replacement?